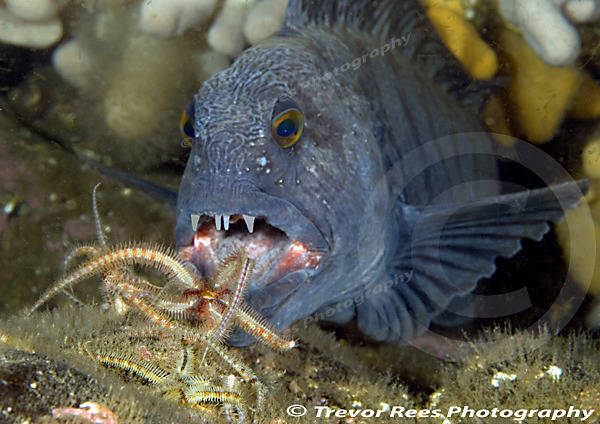 A Wolf-fish tempted out of its hiding hole to feed on brittlestars. To see wolf-fish it's a case of diving in cooler waters such as at Eyemouth on the NE coast. This particluar image was included in the BWPA 2012 book. (British Wildlife Photography Awards) and has done well in a number of competitions.